Check signed by Babe Ruth, dated 15 August 1920, during Ruth's breakout year with the New York Yankees when he hit 54 home runs. 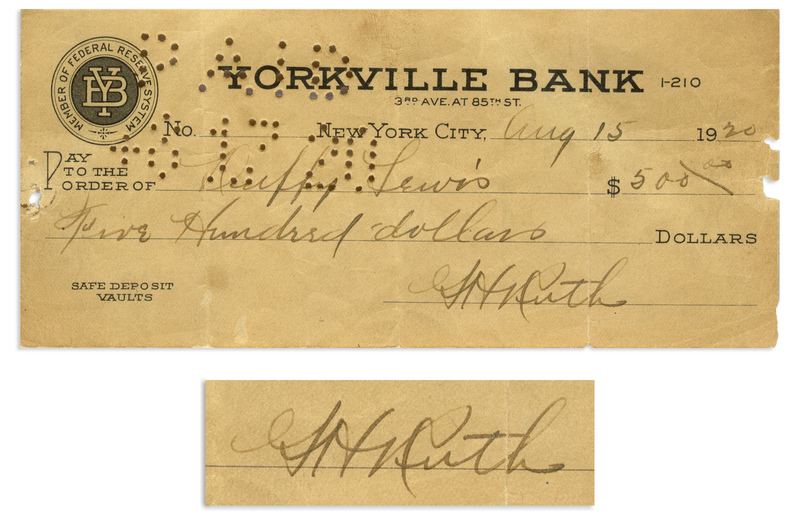 Ruth signs his legal name ''GH Ruth'' and handwrites the entire check, payable to Duffy Lewis for $500. 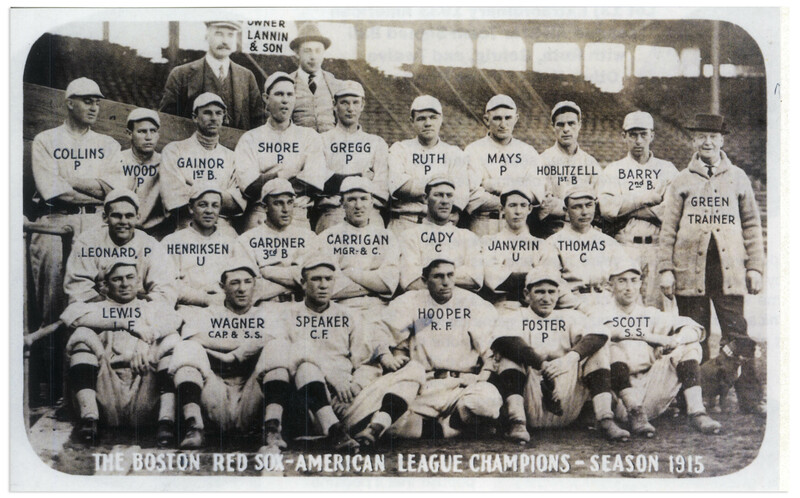 Lewis was Ruth's Yankees teammate at the time and also played with Ruth as a Red Sox. Measures 6.25'' x 2.75''. Folds, some toning and chips to edges. Very good condition. Slabbed by PSA.